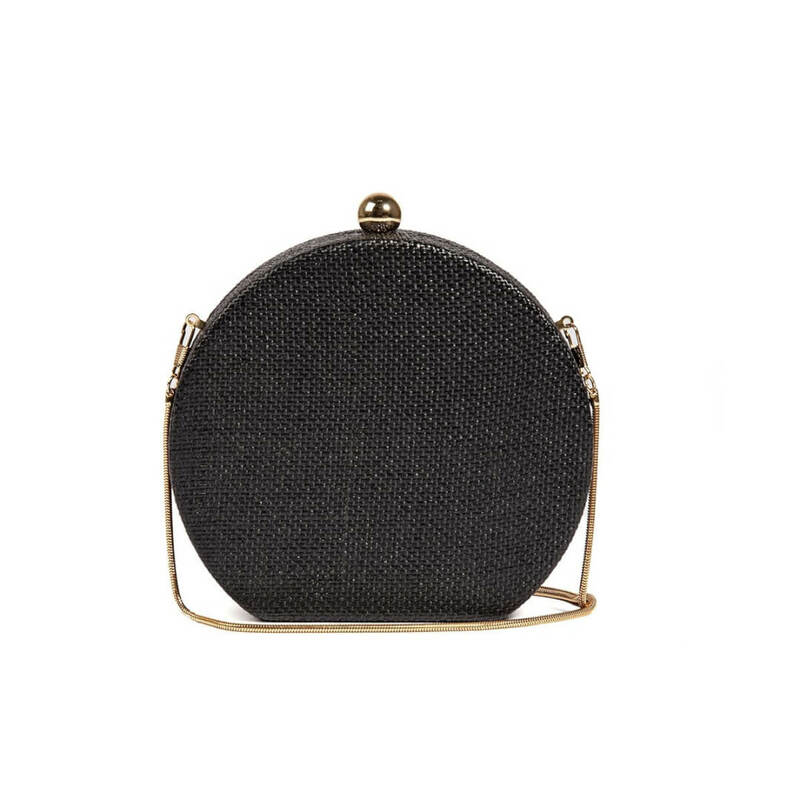 Amparo by Billini is a small clutch bag. 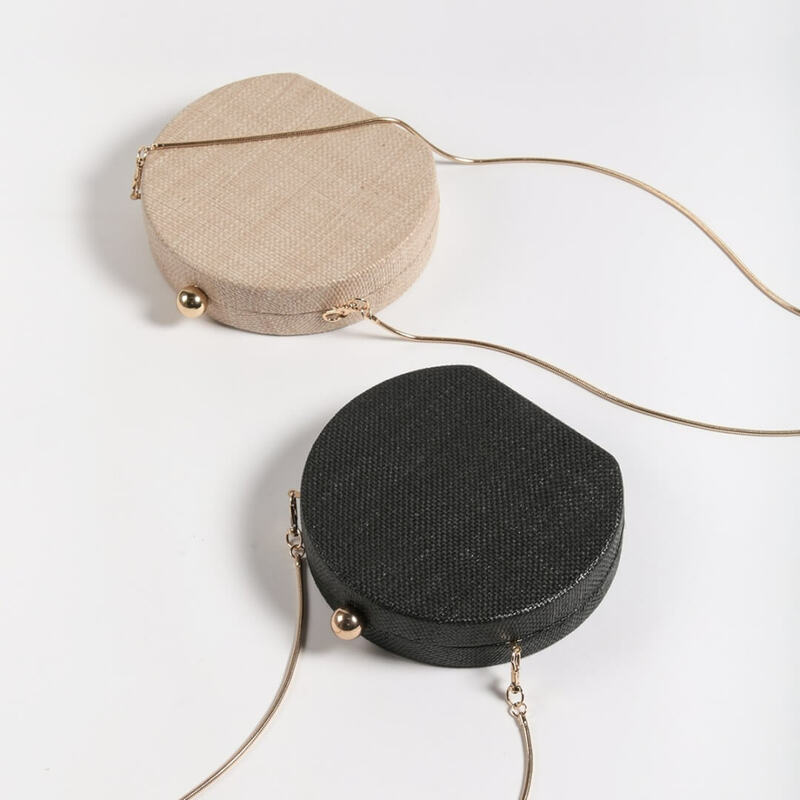 It features a rounded shape body with flat base and large gold clasp opening and thin, gold snake shoulder strap. Available in Black Woven and Natural Woven fabric. Man made outer and lining.